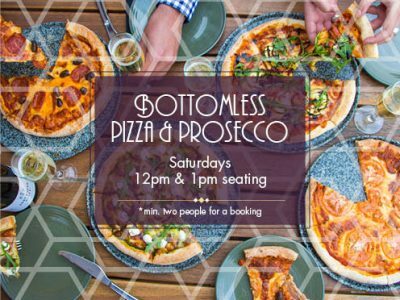 Weekends are about to get super flirty at The Golden Gate with our Bottomless Pizza & Prosecco every Saturday. For just $40 enjoy 2 hours of unlimited pizza and prosecco. Happy Days. Seating times 12 & 1pm. Spread the word!